Integrated genomics and transcriptomics data, together with the analysis of total protein and metabolite content of a given cell, is providing the basis for complex, multi-scale and dynamic models of cellular metabolism in health and disease. Accordingly, the functional triad of genomics, transcriptomics and metabolomics is regarded as a foundational methodology in systems biology. Opening up a never-before seen vista into the organization and dynamical evolution of cellular life at multiple scales of complexity, Omics-approaches are poised to facilitate discoveries in biomimetic design processes. 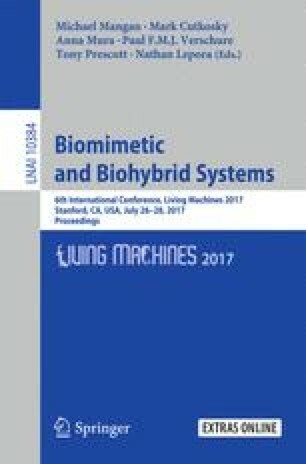 In the following, the proposed merger of biomimetics with Omics-techniques will be called “Biomimomics”. Focusing on comparative genomics, this paper will outline how ongoing work in the field is revising our understanding of early nervous system and synapse evolution in animals and, at the same time, promises to give insights into truly, i.e. evolutionarily-based, biomimetic neuromorphic computing architectures. We will show how a new kind of modular workflow based on a “Biomimomic Traceability Matrix” (BTM) can structure and facilitate both biomimetic design solutions and the discovery of universal principles underlying complexifying biological and technological systems.